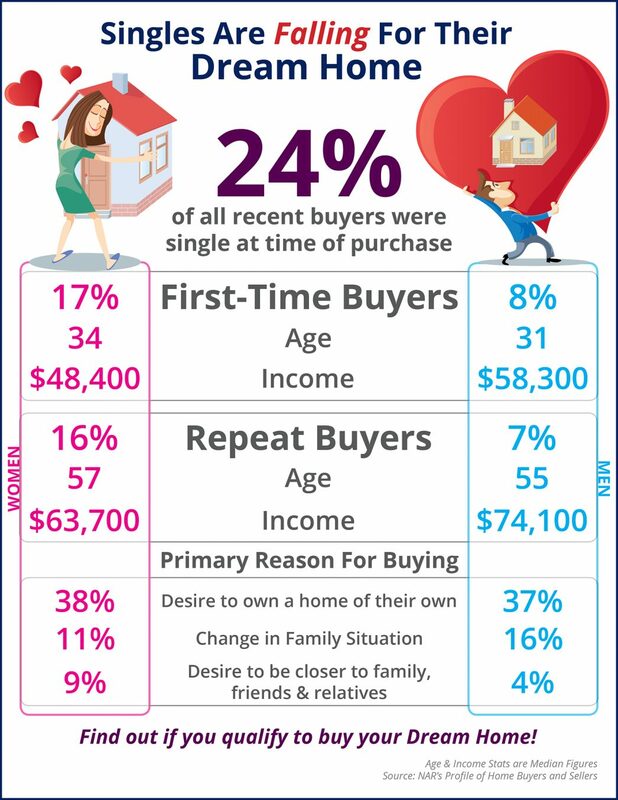 According to NAR’s Profile of Home Buyers & Sellers, the share of recent homebuyers who were single at the time of purchase held steady at 24% last year. The percentage of first-time buyers who were single females rose to 17% (up from 16%), as the share of single men dropped from 11% to 8%. The primary reason for buying a home amongst singles was the desire to own a home of their own (38% for women and 37% for men).